Weekend FREEBIE for the Avengers movie premiere, and other events around town! Don't miss these fun deals! Here's a roundup of some free and other events happening around town this weekend! 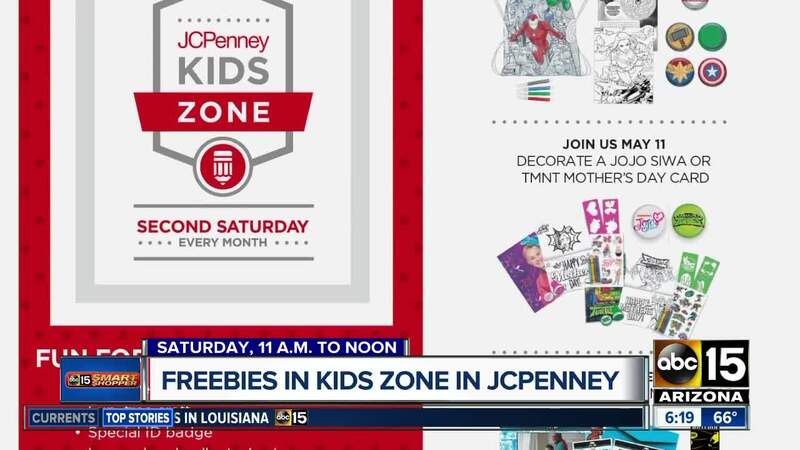 This Saturday, head over to JCPenney for a FREE superhero event for kids to celebrate the Avengers movie premiere. Go to the Kids Zone area from 11 a.m. to noon with your children dressed as their favorite superhero. There, they will decorate a cinch bag they get to keep, along with other freebies. We were told parents get a bonus coupon for 20 percent off Hasbro toys. Click here for more information. Speaking of movies, Harkins Theatres' highly anticipated Summer Movie Fun tickets go on sale today, Friday April 12! For only $7, you can see 10 movies all summer long! Movies will be screened every weekday, starting May 27 and ending August 2. The purchase of your $7 ticket also includes one FREE Kids Combo (a $6 value) that can be used during the month of September. Don't want to sign up for the entire summer's worth of movie screenings? No problem! You can purchase tickets day-of for only $2. Click here for more info! I will be emceeing the Scottsdale Culinary Festival on Saturday. It's at the Scottsdale Civic Center Mall and runs through Sunday. General admission is $12, and kids 12 and under are FREE! The band Berlin hopes to "Take Your Breath Away" when they perform Saturday night. If you're wanting some grub, the Second Annual VegOut! Scottsdale festival is happening at Scottsdale Waterfront on Saturday and Sunday, where you can enjoy vegan food and drinks. Kids 12 and under are FREE! Adults, general admission is $20 online. Do some research, and you may be able to find discounted tickets. Monday is Tax Day, and there are a lot of offers. Do you know of any businesses offering discounts? Send them our way, and we'll add them to our big list.